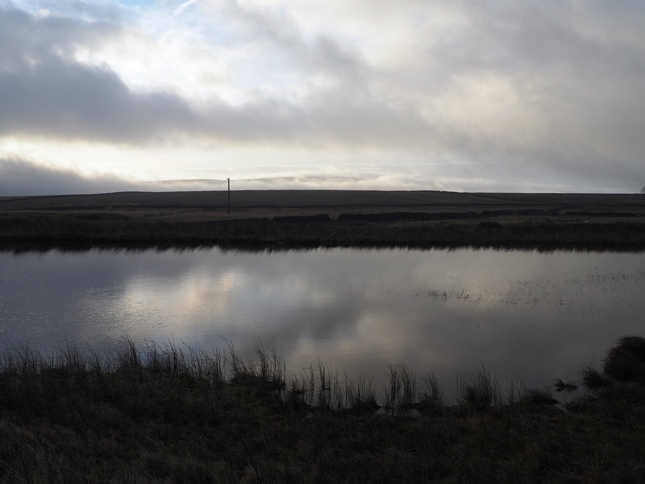 The Grassington Moor reservoirs are a series of small reservoirs scattered around Grassington Moor which were constructed as part of the extensive lead mining operations in the area. 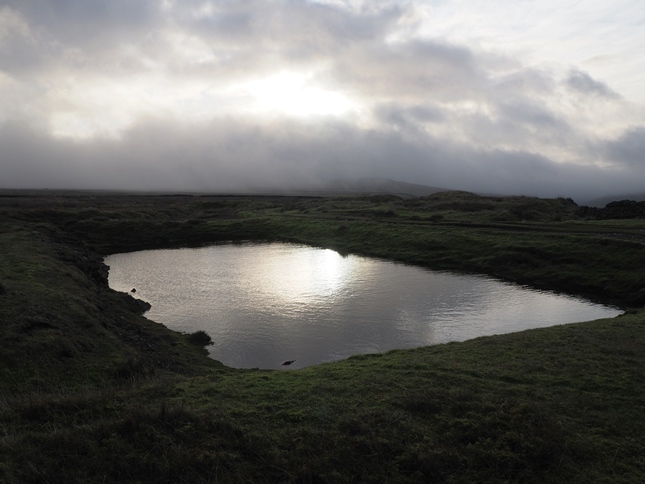 Excluding the much larger Mossy Moor Reservoir to the south there seem to be seven reservoirs in total. These are spread over a distance of over a mile and a half from Yarnbury in the west to Blea Beck in the east. 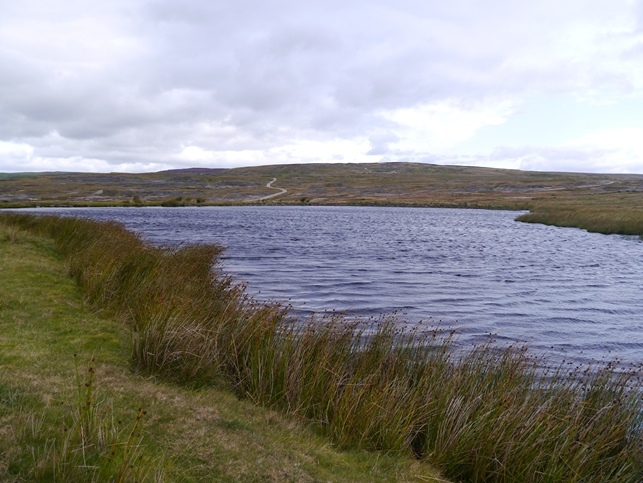 Four of the reservoirs can be visited on the waymarked Grassington Moor Leadmining Trail that starts from Yarnbury. Two of the others can easily be visited by following the track heading east from the head of Coalgrove Beck to Blea Beck. The final reservoir is located just a couple of minutes from this same track. 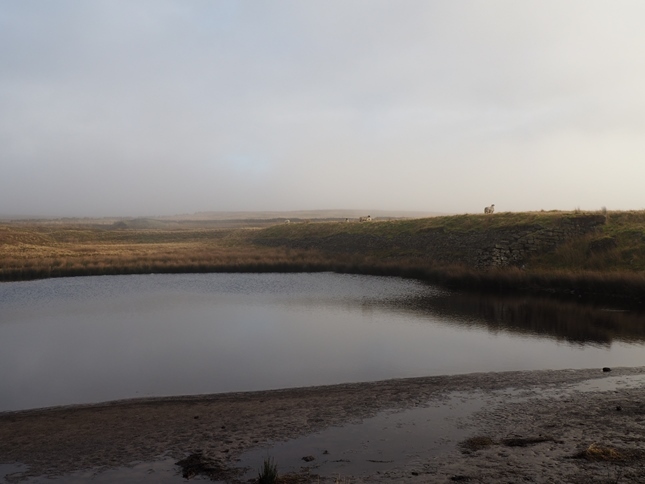 Only one of the reservoirs seems to have an official name, this is Coalgrovebeck Reservoir which is situated about five hundred feet north-east of the large chimney at the top of the flue climbing the moor from Cupola Corner. The smallest reservoir is probably the tiny one just above the remains of the Cupola Corner Smelt Mill. 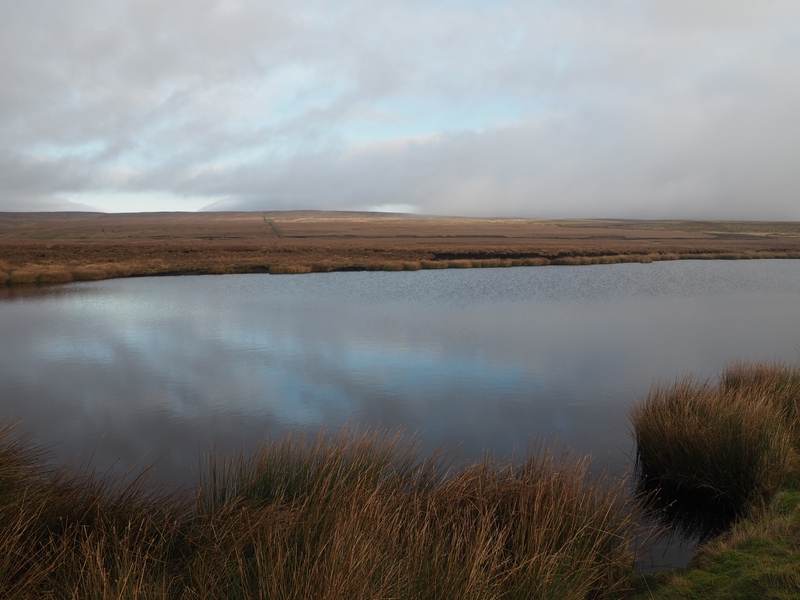 Two of the larger reservoirs are the easternmost heading towards Blea Beck. One is right alongside the track and judging by the grouse butts seems to have become a location for shooting. The final reservoir is on Blea Beck itself and has a substantial outflow including a small waterfall. Just upstream are the so-called Blea Beck Dams which have been breached some time ago and are now grassy mounds.